National Pots De Crème Day in the United States is celebrated on the 27th of August. The day recognizes the delicious French dessert custard by the same name. This dessert delicacy was created in the 17th century in France. The translation of the name pots de crème is pot of cream or pot of custard. This refers to the fact that the custard is cooked and served in small porcelain cups. Pot de crème is a loose custard with a consistency that is looser than crème caramel, flans, and many other custards. Pots de crème is made from eggs, milk, cream, and the flavor of choice. 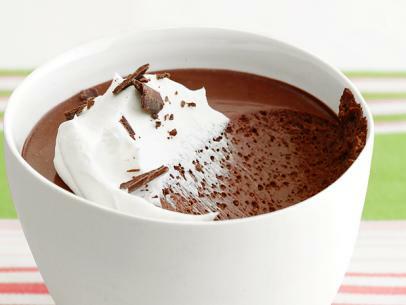 The most popular flavors for pot de crème are either chocolate or vanilla. The milk, flavor additive, and crème are heated while the eggs are whisked separately. The hot crème is slowly tempered into the eggs to prevent the eggs from scrambling. If the mixture is poured in too quickly, the eggs will scramble and the whole dish will be ruined and the baker will have to start from scratch. Once combined, the mixture is strained using a sieve. After straining, the liquid mixture is poured into cups also known as ramekins. Ramekins are small bowls that are normally made from porcelain. There are other varieties of ramekins, but traditionally porcelain ramekins are desired. After being filled, the ramekins are baked in a hot water bath. The create the hot water bath, set the ramekins in a baking dish and then fill the baking dish with hot water until it reaches halfway up the side of the ramekins. This process prevents the eggs in the custard from obtaining a rubbery consistency. The pots de crème are allowed to slowly bake into a delicious and loose custard. While baking, many preparers choose to cover the baking dish while the ramekins are in their hot bath because it helps prevent the custard from developing a skin cover on top of the dessert. The custard can also be frozen inside the ramekins. This frozen custard is still considered a pots de crème and can provide a refreshing treat on a hot summer day. Pots de crème is typically a light and creamy dessert custard that can be enjoyed year round. Any flavor can be used to construct the pots de crème. While chocolate and vanilla are still the most popular, many people have explored different flavor combinations such as caramel and coffee flavored pot de crème. Each pots de crème is unique to the person who is eating the custard dessert, all you have to do is decide which flavor you want to try out. Regardless, once the pot de crème is prepared the best way to top it off is with a dollop of whipped cream. The most appropriate way to celebrate National Pots De Crème Day is to indulge in the loose custard dessert. While the applications needed to accomplish the dessert are extensive, the end result is worth the extra effort.